Product categories of Nasal Strips, we are specialized manufacturers from China, Medical Nasal Strips, Breath Nasal Strips suppliers/factory, wholesale high-quality products of Right Nasal Strips R & D and manufacturing, we have the perfect after-sales service and technical support. Look forward to your cooperation! They seem simple, but Breathe Right Nasal Strips have unique engineering that make them an effective tool for managing nighttime congestion and improving sleep. This lifting action helps open inflamed sinus passages and makes it easier to breath. 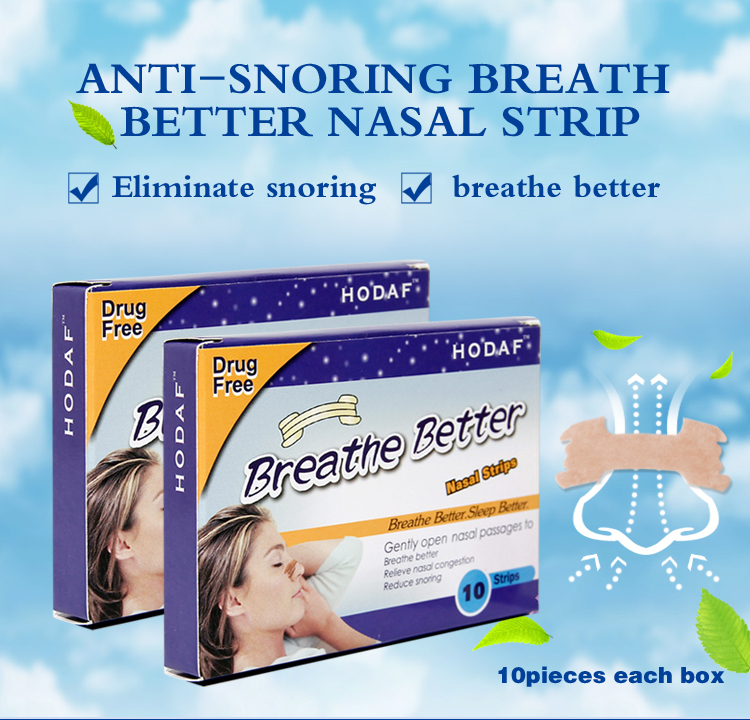 Nose strips provide relief for congestion due to colds, allergies, or a deviated septum and reduce snoring caused by nighttime nasal congestion.